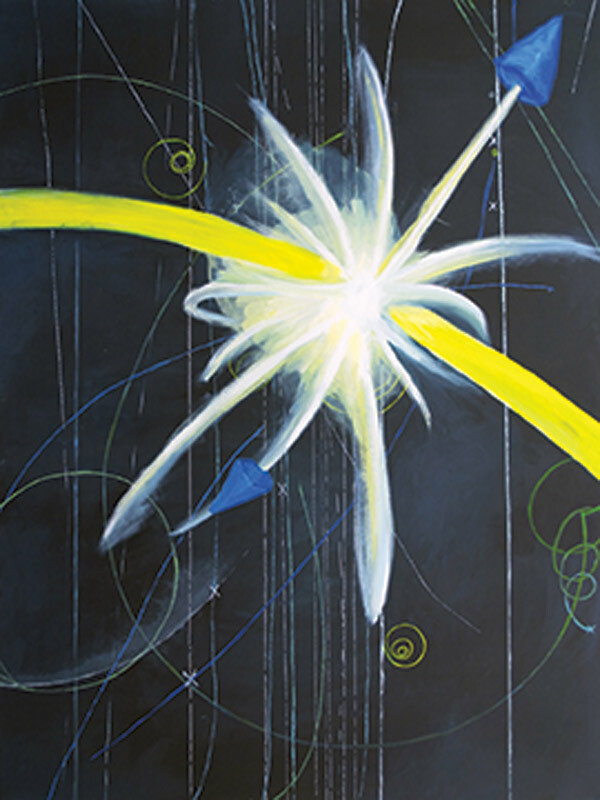 Physics students: THE conference of a lifetime is fast approaching. 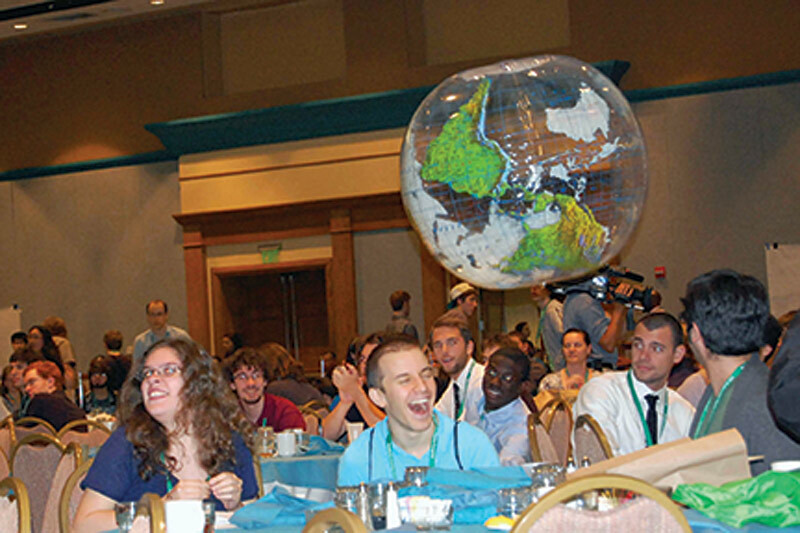 Every four years, hundreds of undergraduate physics majors from all over the country and the world gather for 3 days of insightful workshops, spectacular tours, poster sessions, talks, networking, and, of course, fun. With the next Sigma Pi Sigma Quadrennial Congress approaching in early November, 2016, it’s crucial for chapters to start planning how they will attend. Without a doubt, this event is one of the best places to build a strong sense of community, not just in your own chapter but with others as well. Boasting the highest number of undergraduates of any single SPS/Sigma Pi Sigma event, the conference is your chance to listen to Nobel laureates, industry leaders, and researchers giving the most exciting talks you could imagine. Networking is abundant, not just with students but also with local scientists in the area. During interactive workshops and other activities, you can really get to know other physics students in only a few short days. You never know where the connections you make will take you, and we hope the experiences you have at Congress fuel a strong sense of community throughout not just your undergraduate careers but well into your future in physics and beyond. With the 2016 Congress only a year and a half away, the planning committee is kicking into high gear. This committee is made up of students and faculty from around the country, as well as a few SPS staff members. We’ve been meeting since the winter of 2014 to discuss speakers, tours, workshop ideas, and, most importantly, the theme: “Unifying Fields: Science Driving Innovation.” Currently we are focusing on marketing and spreading the word. We are proud to be welcoming among our plenary speakers Jocelyn Bell Burnell, whose work led to the discovery of pulsars; Nobel laureate Eric Cornell, known for first synthesizing Bose–Einstein condensate; Persis Drell, Director Emerita of SLAC; and S. James Gates, a particle theorist featured on The Elegant Universe. The confirmed tour sites are the SLAC National Accelerator Laboratory, NASA’s Ames Research Center, and Google. Events include a breakfast with scientists, a poster session, an art show/contest, and a dance party. 01 - Approach members of your college administration for matching funds well in advance. We suggest starting with the college or university president. If possible do so before the fiscal year that includes the Congress, as this makes it easier to budget. In other words, do this now! 02 - If your SPS chapter is a recognized organization on campus, write a proposal to the student senate of your college. 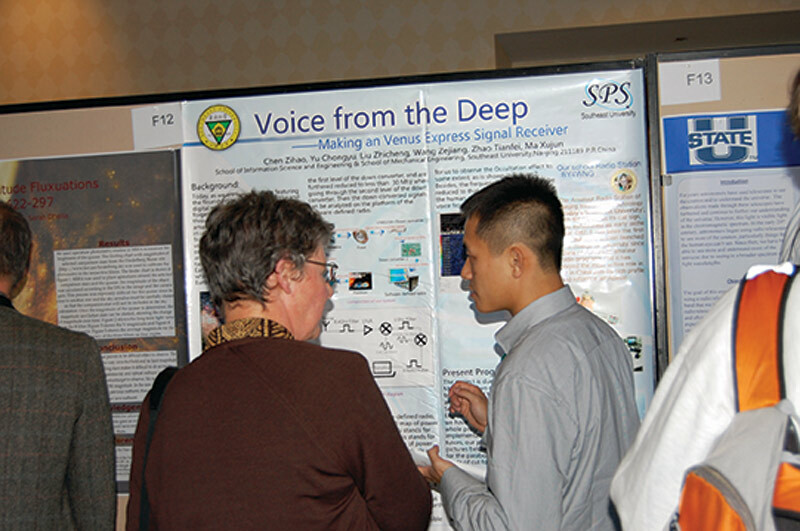 03 - Ask research supervisors if their grants can support travel funds for students to present posters at Congress. For example, our chapter just designed t-shirts and sold them to both students and alums. (after clearing the idea with your advancement office). 06 - Set a reasonable fee for students to pay. In 2012, students at our school had to chip in $400 each to attend, and we focused on raising the rest. Our students saw that as a worthwhile investment. 07 - Save on travel. For the last Congress, we approached United Airlines for a group rate that saved us a few thousand dollars. The group rate also made it easy to secure passage for the whole group on the same plane. Students were responsible for the cab and shuttle rides to and from the airport, as well as for food not provided by the Congress. Thus, students paid, in total, about $500 or so for their trip to the Congress, including the $400 we asked them to contribute up front. 08 - Seek local sponsorship in places students frequent. Examples include restaurants, coffee shops, and technical companies (again, clear this with your advancement office). 09 - See if your college will arrange for discounted van rental. You might approach the athletic team’s office for this. They either rent vans or they own them. 10 - See what the SPS National Office can offer! For example, being a chapter reporter for SPS helps cover the cost of some travel.